The Vosporos Ladder Jersey Top promises comfort and style for your everyday look. 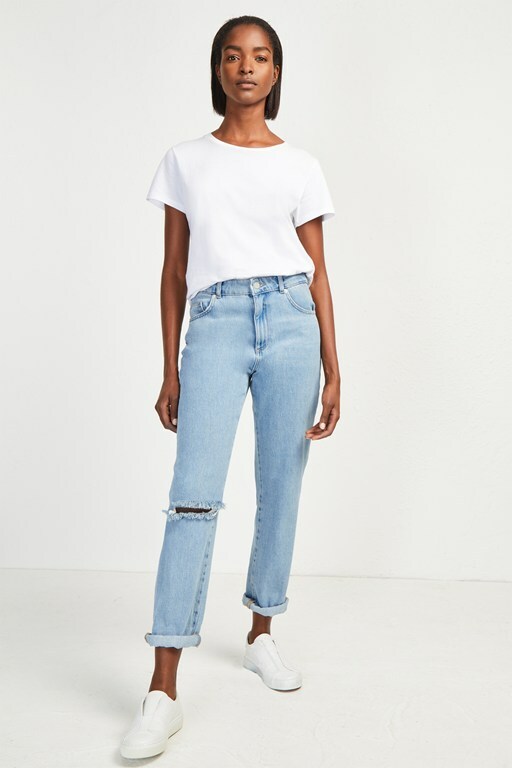 The oversized jersey top has a simple silhouette with a round neck and cropped sleeves, which have a drop shoulder to emphasise the casual shape. A small ladder detailing runs throughout the jumper for a stylish finish to the separate, which can be paired with your favourite denim for easy off-duty attire.